We’ll guide you through every step of the remodeling process. We will create a kitchen to your unique specifications and walk you through every stage of your remodel, including design, construction, and new kitchen orientation. 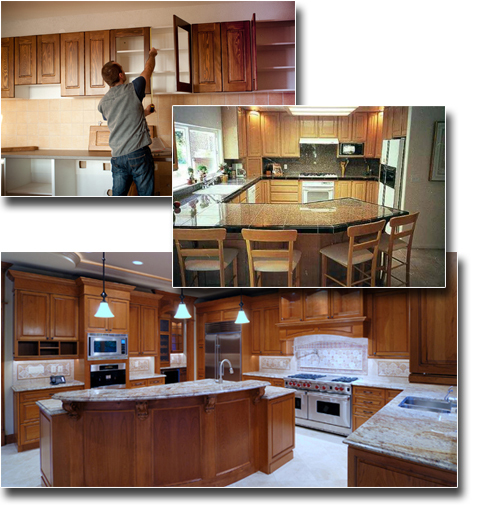 Homeowners have many important questions about their Kitchen Remodeling Project. How much will it cost? How long will it take? What problem areas do I need to watch out for? Can I recover my Kitchen Remodeling investment when I sell? Can I do some of the work myself? What can I do to make sure that the work is done right? Costs, materials and best practices will all be discussed before the actual work begins. You will have a complete understanding of the whole process. Bell Construction understands that this type of project is an important remodeling project for any home owner. We know that communication with the home owner is very important before any work is started. Bell Construction services all of N.E. Ohio including all of Canton and Akron. Call Bell today to speak with a professional that can help you with all the decisions involved with a compete kitchen remodeling project.